Fabulous sleek contemporary design, the Nickelby is 67" x 32". 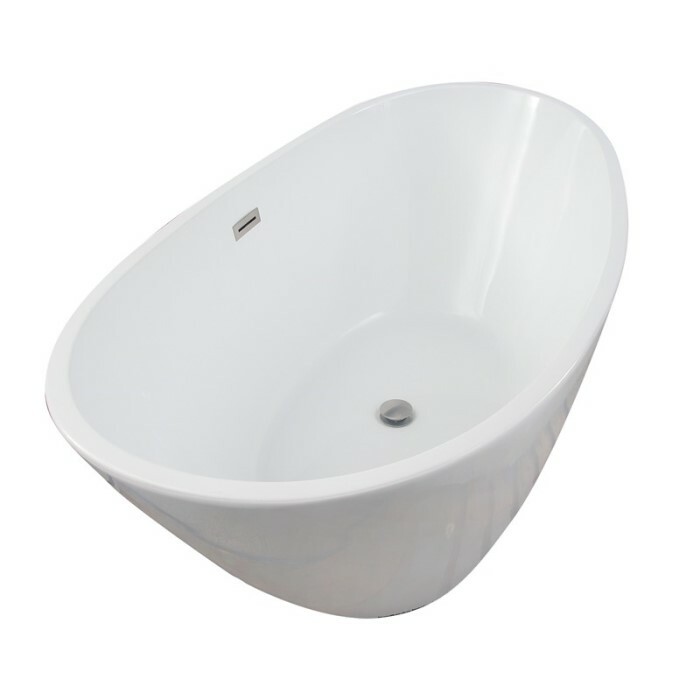 This slipper bath is offered without an overflow or with a slotted integral overflow that adds to the modern design. The Nickelby is constructed with 2 acrylic sheets with the option of adding foam insulation between tub walls. 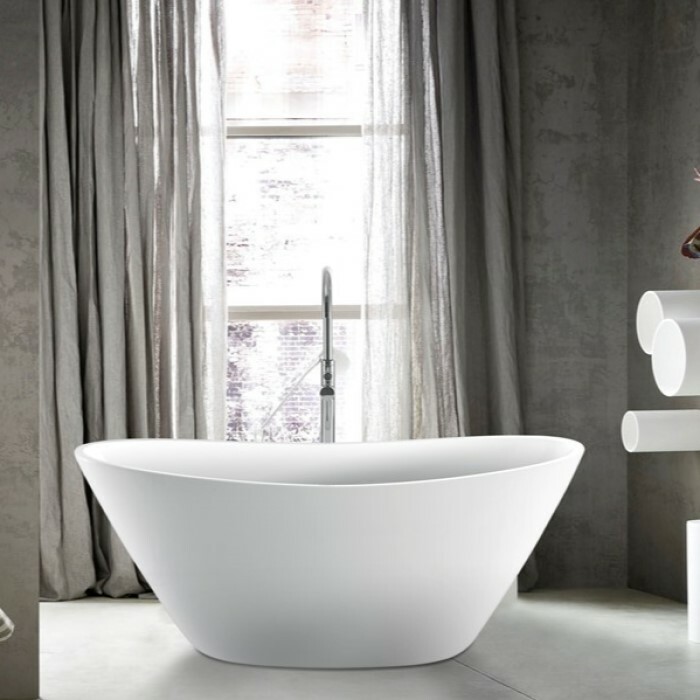 This bath is not drilled for faucet holes, making it the perfect pairing for a freestanding or wall mount tub filler. 67 1/4" x 30 3/4" x 25"
Drain channel is built into the tub wall to save both space and installation time. 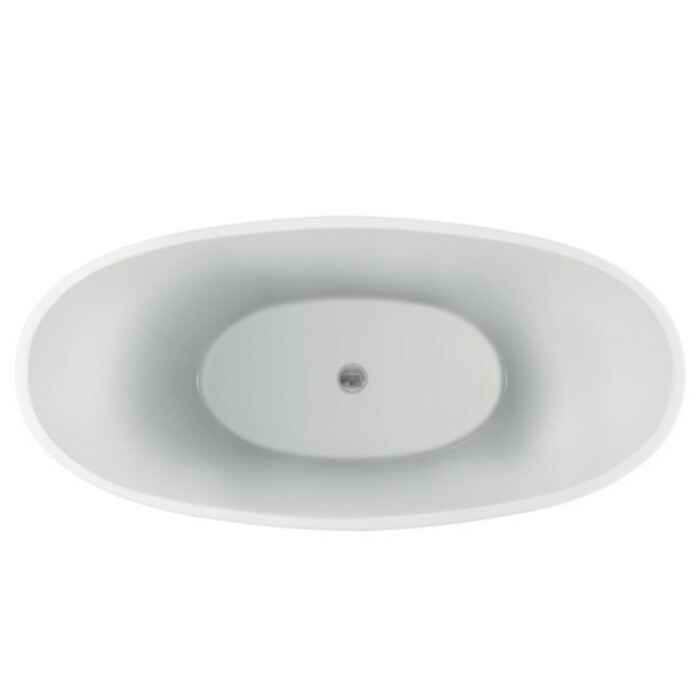 A toe tap drain and overflow cover are included.